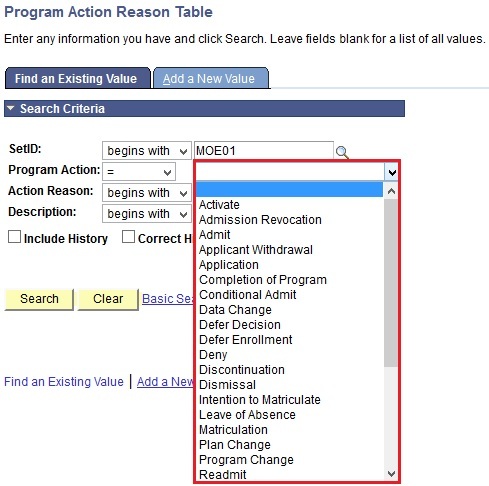 This function allows the users to maintain the Reason for Manage Student Deferment. Click on the Set ID lookup icon to search for the ID. 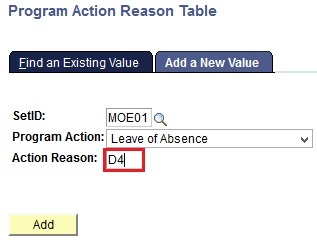 Select the Program Action ‘Leave of Absence’ from the Program Action dropdown list. 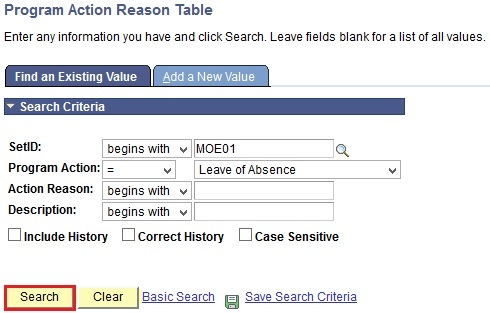 Enter the Action Reason in the Action Reason Textbox. 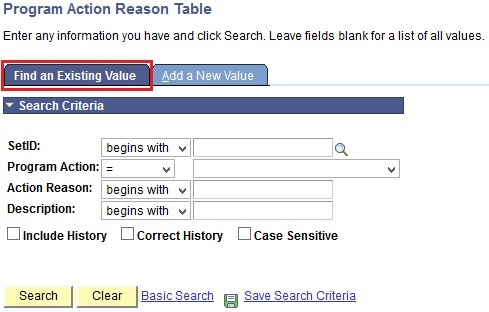 Click on the Calendar icon to select the date this list of reasons is effective from as Effective Date. For the first time enter the date as 01/01/1901. 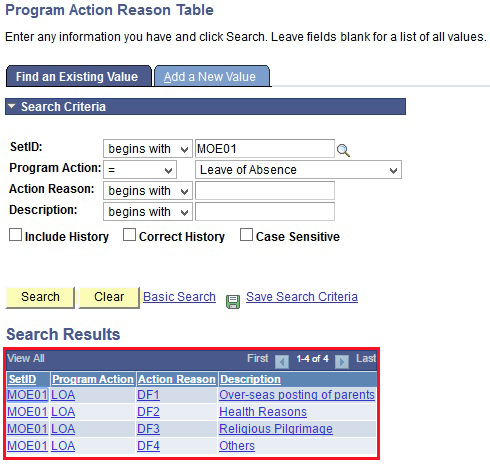 Select ‘Active’ in the Status field dropdown, to activate the list of reasons. Enter the description in the *Description Textbox. Enter the Short Description in the Short Description Textbox. Enter the Long Description in the Long Description Textbox. 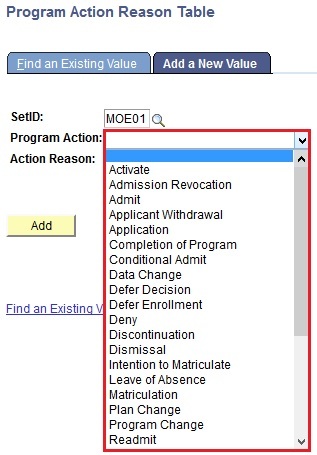 Enter any Additional Text relevant to the Deferment Reason in the Script Text textbox. 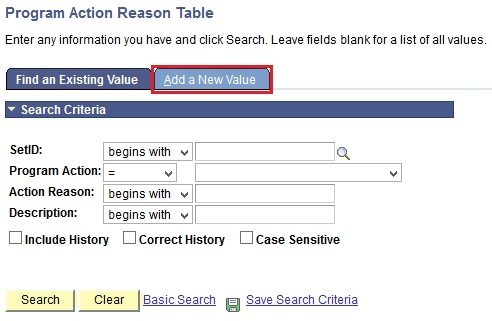 Click on the ‘+’ icon in the Program Action Reason Table Assignment section to add a new Reason. 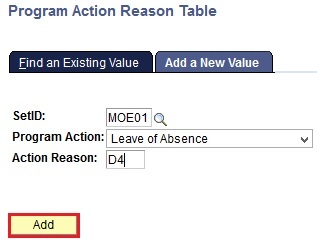 Click on the ‘-’ icon in the Program Action Reason Table Assignment section to remove a Reason from the list. 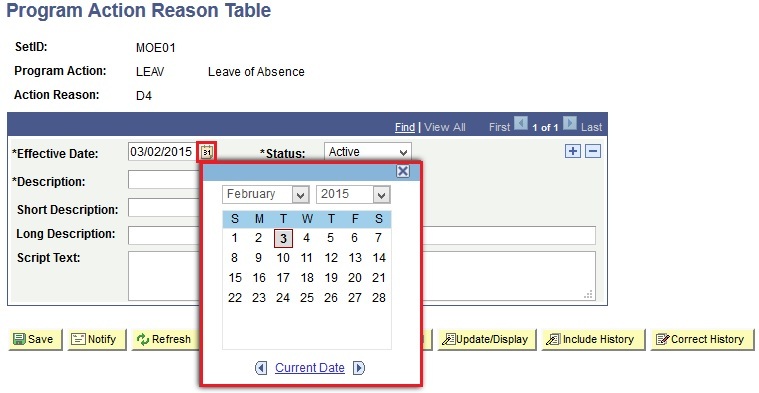 Click on the Calendar icon to select the date this list of reasons is effective from as Effective Date.